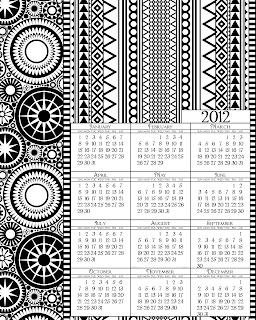 The backgrounds I used for these are from some designs I made up to get printed on Spoonflower. The idea being fabric that I could make purses out of that could be colored with permanent markers. I couldn't decide which layout I liked better, so you get them both. I think these would look so pretty colored in with markers. Click the images for larger versions. 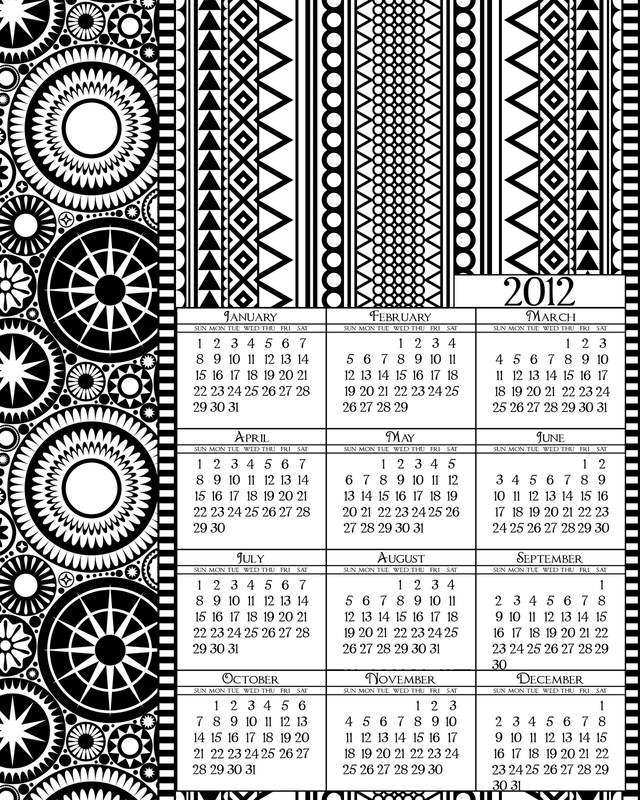 ETA: The Spoonflower Coordinates contest, which I entered with the dots and stripes used in the background of these calendars is voting 1/5/12- 1/11/12. 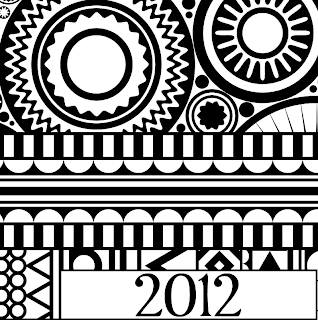 Please consider voting for my design! I'm sorry that I have not made a year at a glance calendar template with the weeks beginning on Monday instead of Sunday. 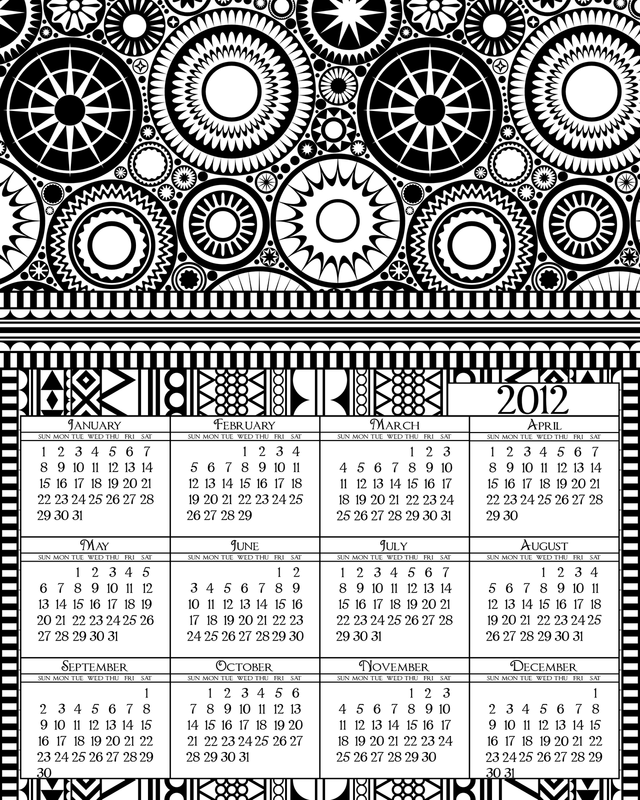 After trying a few ways to make calendars through different programs, the way that I like the look of them best is when I layout all the numbers in a graphics program, which takes a bit of time, which is why all my printable year at a glance calendars use the same font! 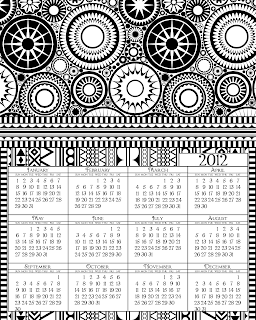 If you want a Monday starting calendar, PrintFree.com has some here. Nice calendar, it really does stand out! 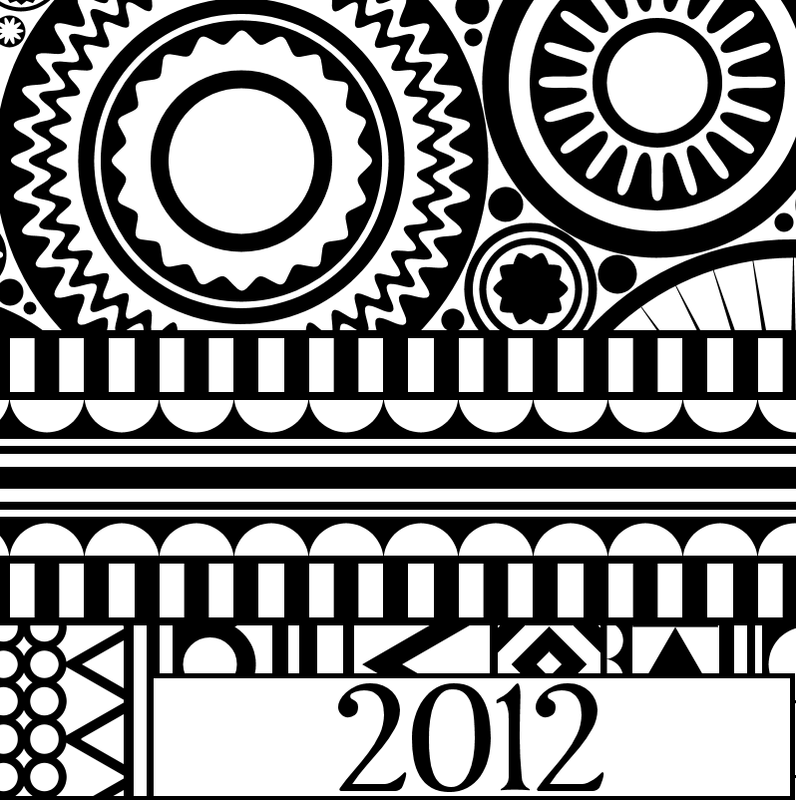 I've got this linked to my calendars post too today - happy new year!